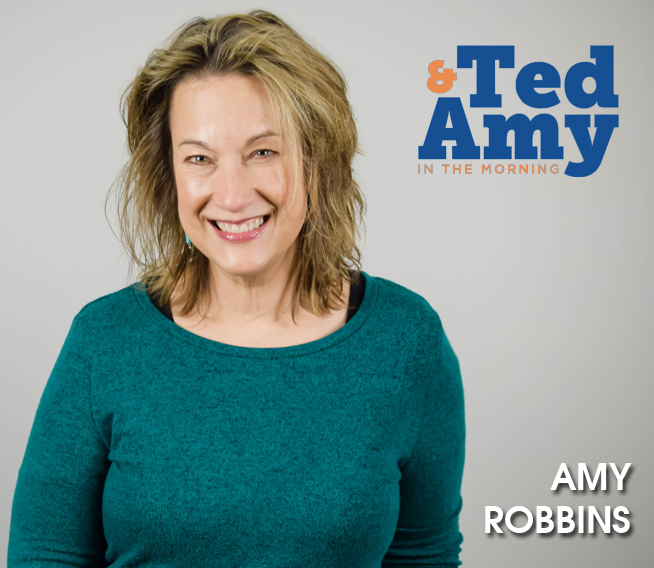 Amy Robbins has been teamed up with Morning Show co-host Ted Long for the last twenty-nine years! She is a 1983 graduate of Camden High School and a 1987 graduate of Ithaca College School of Communications with a degree in Broadcast Journalism. Amy is a fan of cooking, gardening, naps, spending way too much money on bird feeders and her two kitties Riley and Kantishna. She is a fan of Fit Body Boot Camp and has constantly sore muscles. She loves a good wood stove fire, a glass of wine and throwing fabulous dinner parties. She and her husband Mark live in Cicero. They are trying to visit all fifty states by the year 2020 so that is normally what their vacations consist of (they’re on state number 49!) and they are big fans of Finger Lakes Wine Country too!